iLead Strategies supports and celebrates leaders. Through expert consulting, coaching and training, we help you get where you want to go and achieve results. You have the what: seeking to strengthen your skills, getting things done, bringing your vision to reality, and building your legacy. We have the how. Don’t spend another day … Let’s connect and we’ll get started. “Legacy is not a short-term decision. What are the biggest challenges you are facing as the leader of your organization? Whether it’s increasing revenue, improving services, or expanding impact, iLead Strategies’ proficiency in needs assessment, strategic planning, and communications helps you adjust the sails, craft a clear vision, and chart a clear course. Inspire your audience to soar above the waves. 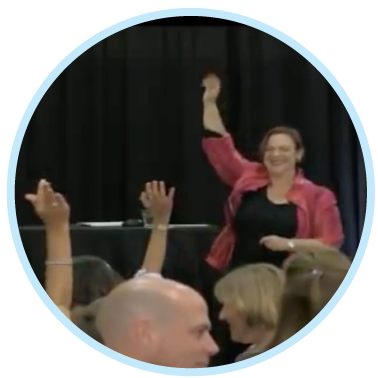 Through masterful storytelling and powerful motivation, iLead Strategies’ founder, Julie Jakopic, connects with participants from all walks of life. 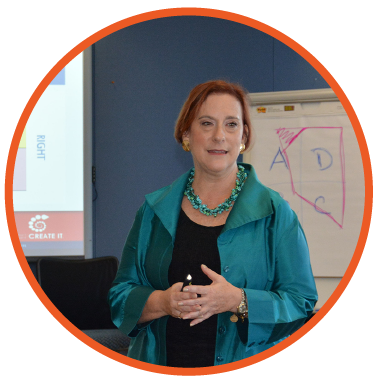 Julie brings her credibility and experience to catalyze positive transformation for audiences of all shapes and sizes: CEO’s to frontline staff; women and men; small to massive; tactical trainings to innovation summits. 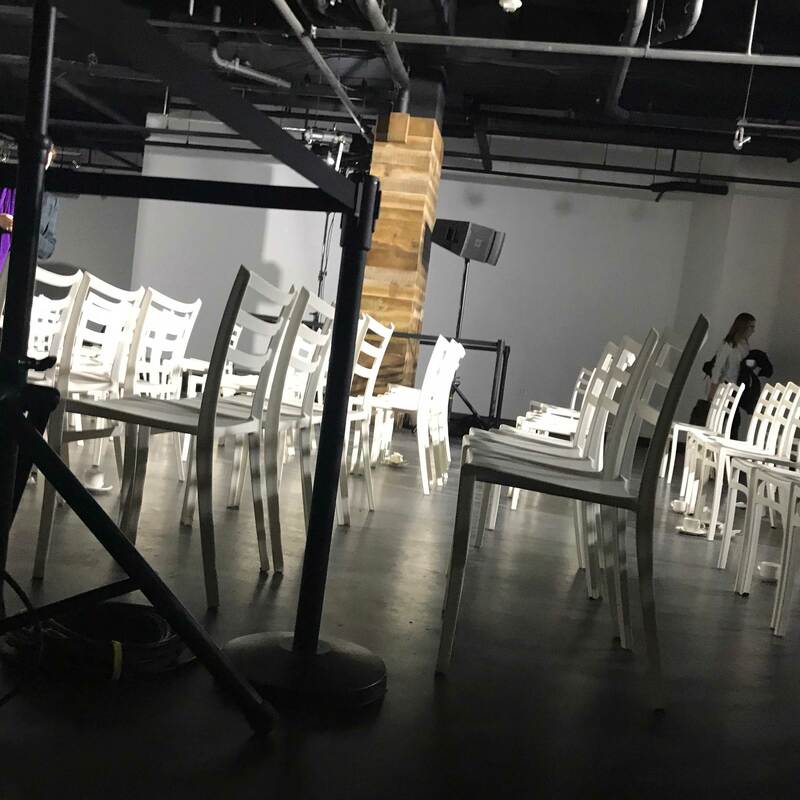 She will work with you to craft an unforgettable and participatory event that reinforces your objectives, delivers fresh, actionable content, and engages and entertains. Powerful Presence – Be Seen, Be Heard, Be Recognized. You can lead boldly and live a life you love. Leaders who coach with iLead Strategies strengthen their ability to build and guide strong teams, and manage change; to shift their mindset, to integrate their personal and professional lives in a way that supports their goals and dreams. Whether you are building a new business, stepping up to a new role, building a new initiative, or finding a way to move from a plateau to the next step toward your legacy, it helps to have a partner to help you chart and stay the course, celebrate progress and adjust your sails as needed. Find out how to re-align your internal compass to reach harbor. Connect to learn more. Your journey is unique. Therefore, it doesn’t make sense for you to follow in someone else’s footsteps. That’s why we created our signature Don’t Await It, Create It framework and event. Our innovative approach to getting results for our clients starts by thinking BIG. Ready to lead boldly, ignite change and accelerate success? Let’s talk . 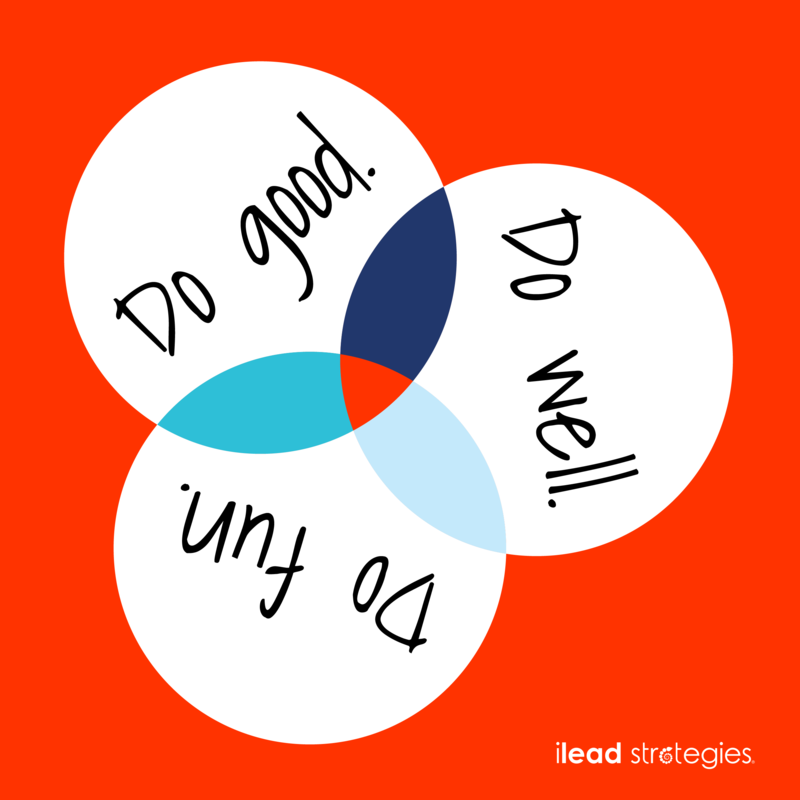 At iLead, we believe you should be able to do good, do well and have fun at the same time. Situation: A large national association desired to encourage its member organizations to adopt an innovative strategy that would fundamentally impact their mission as well as establish a national support resource at the headquarters. Background: While the mission of the association’s member organizations was a broad call to assist people with low-income and the communities they live in, most of the effort became providing direct services to individuals. The proposed strategy would grow and expand their mission by encouraging them to develop social enterprises and to support the economic development of these communities. Action: iLead Strategies helped the association obtain an initial start-up grant, assisted in building an internal and external consulting team, supported project implementation over a three-year period, as well as facilitated the development and implementation of a project sustainability plan to institutionalize the project and sustain it beyond the start-up phase. Result: The association continues to support this project. It created a subsidiary organization to maintain and expand the project. It has created a national award program, extensive resource materials to support local agencies, and a micro-lending program for member organizations. Situation: A non-profit, community-based organization providing early care and education and other related services sought to expand its value proposition, demanding that redefine its identity. Background: This organization was long- and well-known as an entity that served neighborhood working class families of color. However, the neighborhood was gentrifying, and many existing families were moving away. As a result, the organization was compelled to address questions about their identity, deciding if it was focused on neighborhood, race or socioeconomic status. Additionally, they needed to decide how to engage their stakeholders in the conversation as well as securing buy-in of the potential change. Action: iLead Strategies facilitated community input focus groups, helped the organization re-brand itself, and designed and facilitated a strategic plan. It also assisted in developing messaging around the new focus. Result: The organization made the decision that the original school would continue to serve the original neighborhood and established two additional locations more than doubling the organizational capacity. Situation: A government agency wanted to introduce new performance metrics for its staff. Background: Staff had provided input into the process; however, they had serious reservations and reached out to their union. This precipitated a meeting between management and the staff. Action: iLead Strategies successfully helped management and staff reach consensus. It conducted a confidential anonymous survey seeking staff input. This survey served as the basis of a day-long face-to face meeting. At the end of the day staff and management agreed on twenty-one of the twenty-two proposed metrics. Management decided to drop the remaining one. Result: The new system was successfully implemented and there was no further action involving the union. Situation: A large government agency looked to improve operations of its programs and create a collective vision. Background: The agency operated more than twenty (20) programs. These programs were administered separately in multiple geographically dispersed locations. While many of the programs overlapped in terms of the people they were designed to serve, they were run independently with little or no communication between them. This created operational inefficiencies and made things very difficult for grantees and those they served. Action: iLead Strategies conducted research regarding program rules and concerns of executives, facilitated the development of a common vision and strategies for joint program effort, and supported the implementation of these efforts. Situation: Helping a seasoned executive decide about their next step in their career. Background: A former diplomat who worked for an international global health organization, a presidential campaign, and prominent Congressman was seeking her next career. 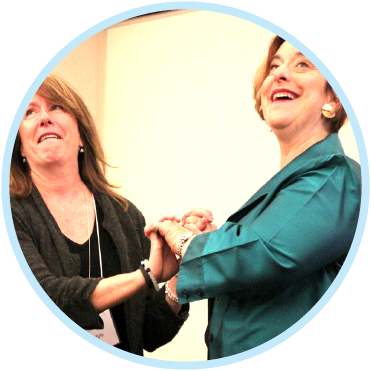 Action: iLead Strategies provided coaching to help her discover and clarify what she wanted from this next chapter of her life personally and professionally and how her prior experiences could come together to make it possible. Result: Several organizations designed jobs specifically for her. She chose the one that best fit and has gone on to help that organization achieve international recognition. The testimonials and examples used on this site are exceptional results, don’t apply to the average client and are not intended to represent or guarantee that anyone will achieve the same or similar results. Each individual and organization are unique and will have unique experiences. We do a few public events throughout the year. Check back often to see what’s coming up!